Promoter Eddie Hearn believes will earn him another world title fight this year. The Welsh fighter, 32, was pulled out of his clash with the American in the fifth round but earned many plaudits for his gutsy display. "Gavin's performance won him many admirers in America," said Hearn. "He is a true warrior and we have been approached about further fights for Gavin in the US in early summer." Hearn confirmed there are also some opportunities for Rees at home after his WBC lightweight title defeat in Atlantic City on Saturday. "His stock however has also been raised significantly in the UK and there are still some big domestic opportunities available to him here," he said. 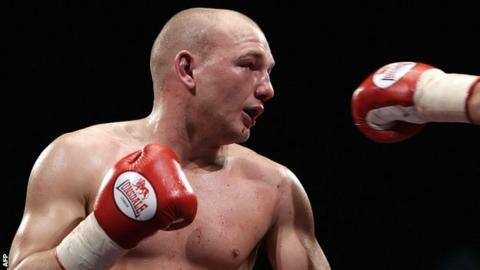 "All in all the future is very bright for Gavin and the plan is to pick up another World title shot before the end of 2013."